I guess it was only a matter "time" before this happened - sarcastic pun intended. At the Google I/O 2014 conference earlier this week it was announced that the first android wear smart-watches will go on sale. 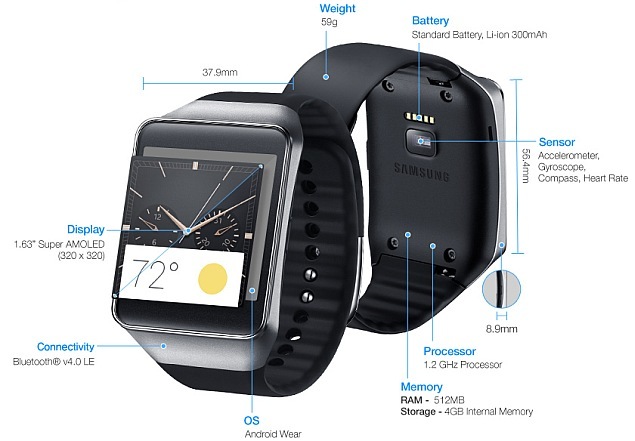 Starting 25 June 2014, the Samsung Gear Live ($199 USD), LG G Watch ($229 USD) will be available for purchase, while the Motorola Moto 360 ($249 USD) will be available towards the end of the summer. Unlike previous "smart watches", such as the Pebble which use custom operating systems with very limited resources - this is the new generation of watches running a new version of android compliant with the Android Wear SDK and boast some significant specifications (512MB RAM, 4GB Storage Space, 1Ghz+ CPU, BLE and 320x320 pixel displays). It is obvious that not all watch faces will be square or rectangular; it will be interesting to see how the round face of the Moto 360 design gets represented as a screen resolution and how developers will write cross-android wear compatible applications without headaches. The obvious tie in for IoT would be for fitness and sport related activities; but it really will be up to the software developers to see what they can do with these devices. In regards to sensors, there will be a selection from accelerometers, gyroscopes, compass), heart rate monitors and possibly more. Google Fit and Samsungs SAMI platforms may compete here to gain traction, but Samsung may keep SAMI exclusively for its Tizen based devices. I still have my Fossil Wrist PDA (Palm OS 4.1.2, 160x160 grey display) released in 2003.